This past Mother’s Day, religious organizations across Rhode Island took a very literal interpretation of the phrase “swords into plowshares.” All across the Ocean State spiritual leaders blessed decommissioned firearms that would soon be melted down and transformed into garden tools. “This is about controlling and regulating guns and abolishing the sale of weapons of war,” said Rev. Elizabeth Maclay of the First Unitarian Church as she held a disassembled shotgun in front of her congregation. The anti-gun services were part of a statewide movement demanding stricter gun-control laws in America’s smallest state. Churches, mosques, and synagogues urged their flocks to write letters to the Rhode Island state assembly and demand a ban on assault weapons and high capacity magazines. Yet Rhode Island already is one of the strictest states in terms of gun control. On a “Gun Law State Scorecard” released by the Law Center to Prevent Gun Violence, Rhode Island was ranked in the top 10 states in terms of the severity of its gun laws. So it stands to reason that this New England state should have low violent crime rates. Not according to the FBI. In the bureau’s 2016 crime statistics, Rhode Island had the highest murder rate of the New England region. Nearly 3 out of every 100,000 people were murdered in the state. On the opposite end of the spectrum, New Hampshire, which last year eliminated the need for a concealed carry license, had the lowest murder rate in New England with 1.3 people out of every 100,000. Maine, another gun friendly state, had the second lowest. The cold reality is there are violent people in the world, and stricter gun laws do not seem to equal a decrease in violence. As these crime stats demonstrate, the states that have less violent crime are the ones that adopt gun friendly legislation. None of us ever want to be in a situation where we have to use our firearm in self-defense. All of us would love to live in a world where guns were used only for sport. Yet as long as there are dangerous people out there, it’ll probably be a long time before we can make those plowshares. Do you have anything to say about this? Let us know in the comments below. 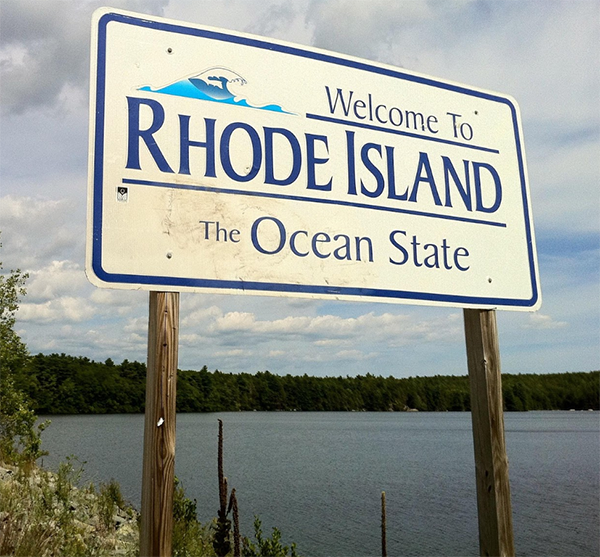 I’m embarrassed to admit I was born in Rhode Island and have family ties that go back to before there was a United States of America. If the attitudes of today’s clergy was that of the late 1700s, they would still be subjects of Great Britain. Shame on all of them. The state motto is Hope, but hope is not a plan for what to do when bad things happen. Those that beat the swords into plowshares, will plow for the rich and the winners.